Do you own an Allwinner smartphone or tablet? If yes are you searching for a simple way to connect your device to a computer? If yes is your answer again, you are in the right place. Download Allwinner USB drivers from here (based on the model number of your device), install it on your computer and connect your device to PC or Laptop successfully. 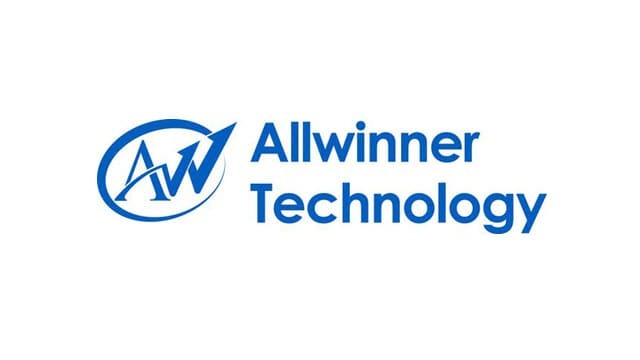 Since Allwinner Technology CO., Ltd. doesn’t offer PC Suite software for their customers, downloading and installing the USB drivers given here is the only way to connect your Allwinner smartphone or tablet to a PC or laptop computer. 1) Download Allwinner stock ROM firmware, flash it on your bricked smartphone or tablet and unbrick your device easily. 2) You can get rooting tutorials, stock or custom firmware flashing tutorials, etc., for your Allwinner smartphone or tablet by leaving a comment below. 3) The Allwinner USB drivers given here are for Windows-based computers. If you are using a Mac or Linux based computer, these drivers will not work. 4) Allwinner Technology CO., Ltd. officially provides all the USB drivers given on this page. So, if you face any inconvenience while using USB drivers on your computer, contact their support team. 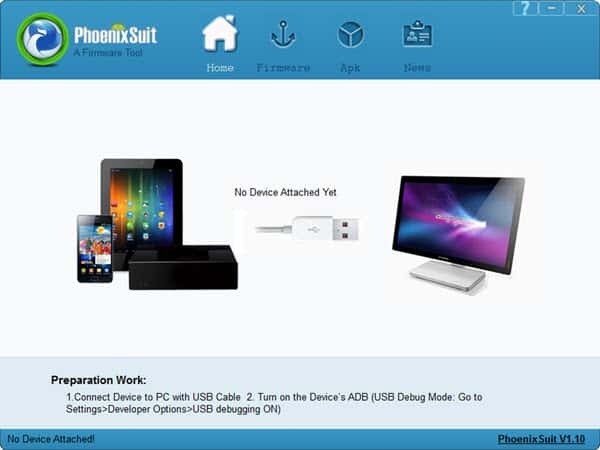 5) Can’t find the USB driver for your Allwinner device here on this page? Let us know by dropping a comment below. How about A12 allwinner? I had a lotus smarttab 7.0, which is an a12 chipset. It stucked on boot and I cant find the firmware for it around google. Need further help. Thank you in advance. Hey, I have a Uniscom MZ-81 tablet. My device does not have any volume keys, just power and home button. It has Allwinner A33 processor. My computer does not recognize the device and I could not find any way to access recovery menu, please help, thank you. Thanks much for replying. But, I heard about an software called PhoenixCard and tried to flash ROM from Sd card. But the flashing process stuck at about 35% and doesn’t move a bit, even I wait hours and hours. I really want to save this device, but in here (my country) we don’t have so much support. Can you please help me out? I will try to provide all the information you might need to know. Thanks much. I have a very old Datawind 7c+Edge tablet, so wanted it to upgrade it from 4.2 to either 4.4.4 or 5.0 Android. Unable to find suitable ROM , Driver or flash tool I have but unable to connect properly. Please help. I too have an another tablet 7CZ running 4.4.4 Android, will it be any help. I have a Allwinner t3-p2 unit in my car with KOT49H. When i attach a usb to the connector cable the msg comes preparing storage and then remove storage comes auto after a few seconds. And ES file explorer open auto. The music player then doesnt pick up the usb at all. After removing and connecting again then it works but after a while it disconnects automatically again. Cant find usb driver for A83T octa-core as well as it’s firmware on excelvan tablet running on android 5.1.1. Kindly help because mine is stuck at startup logo and even resetting by pressing reset button has not worked. Am really frustrated kindly help. I’m trying to find the Drivers for the Allwinner Quad Core H3 processor. I have the TV BOX HD23 2.0p Camera Android. Until now I can not find them anywhere. My Laptop Win10 don’t se My Allwinner T8, so I can’t install this drivers? There is some other way? In Android, the usb debuging is enabled. I have set (MTP). Changing to other settings does not help. after restarting it always returns to the setting (MTP).. Allwenner sees a usb pendrive, but not my laptop, or technaxx dvb-t android stick s10. Necesito para una unidad 2din allwinner Te K2001M que esta en “loop de instalacion de actualizacion” los USB divers para linux asi como cualquier aplicacion para flash en linux, del tipo de la PhoenixSuit. HI SIR, I HAVE ALWINNER H6 (TANIX (TX6) TV BOX AND I NEED DRIVER FOR THAT COULD YOU PLEASE HELP ME. I HAVE SPEND A LOT OF TIME BUT DID’NT FOUND ANY DRIVER FOR THAT DEVICE. I WANT TO UPGRADE THE FIRMWARE WITH PHONIXSUIT. PLEASE HELP ME. SIR, I NEED USB DRIVER FOR ALLWINNER H6 . IF YOU HAVE PLEASE SHARE. and really really very thanks for you quick response.